Great scholarship essays show, not tell, why the applicant is a strong contender through personal stories. Writing a winning scholarship essay involves showcasing your accomplishments, skills, and volunteer work in a intimate, yet professional tone. A great scholarship essay can increase your chances of receiving financial aid by helping you stand out from a crowd of applicants. In this guide, we’ll cover how to write a winning scholarship essay, so you can feel even more confident in your college application process. Applying for college financial aid is a multi-step process, and an outstanding scholarship essay plays an important role. If you plan on applying for financial aid, you’ll need to know how to write a stellar scholarship essay. Writing a scholarship essay may be one of the most challenging parts of your application process, but it’s also one of the most important. The table below explains various reasons a scholarship essay may be important. A scholarship essay is a tool that shows your college’s scholarship committee why they should support you financially. Through a concise, brief yet detailed and well-written essay, you have the opportunity to show your college how you’ll use the financial aid they give you to reach your goals and become an asset to the community. You get to tell your college committee, in a professional way, why they would want you as part of their team. Need a scholarship? Click here to see scholarships that Ultius offers. This requires you to highlight your strengths and accomplishments in a humble way that doesn’t sound like boasting. We’ll review some stylistic writing tips later that will help you do this. But first, let’s review the foundational elements of a scholarship essay and what makes it different from other academic writing. A primary factor distinguishing scholarship essays from other types of academic essays is the fact that scholarship essays are, simply stated, all about you and your college: the entire focus is persuasive, and as described above, the purpose of the essay is to explain why and how you’ll use the financial aid you receive in the best way possible. This table outlines key differences between scholarship essays and most academic research essays. Most academic essays generally target a wider audience (rather than a specific scholarship committee) and describe a generalized pool of knowledge. The tone of most research academic essays is neutral, meaning it seeks to inform, rather than convince. Research essays can be anywhere from a page to tens of pages. In most academic research essays, you’ll be citing facts and data from other primary and secondary research publications. Before we dive into the “how to” of writing, let’s review some basic elements of a great scholarship essay. What makes a great scholarship essay? Think of the introduction to your essay not just as an overview of what you’ll be discussing, (though it should give the readers a glimpse of your theme and main points), but more importantly as a chance to capture attention. The title of your essay functions as a hook, engaging your reader. In the same way, the introduction should be interesting. It functions to make your reader want to continue reading your entire essay. For example, which of the following headlines are you more likely to read? Most likely, you’d want to read the second one. The first one is pretty dry and boring, and doesn’t really say anything about what the essay is about-- other than it being a scholarship essay. There’s no incentive to read it. Still stuck? Consider using essay writing services from Ultius to get 1-on-1 help with your scholarship piece. The second title, however, queues you as reader to read on. It is a title you can relate to as a student and a school administrator. Most students would like school to be fun, most parents would like it to be affordable, and most teachers would like it to be both. The second title is engaging because it is specific, relatable, and tells the reader about the value contained in the essay that follows. Make your title and introduction specific and think about how you can say them in an interesting way that shows the reader your essay has value. An organized and convincing essay generally has one primary theme that weaves all parts of the essay together. For instance, a scholarship essay may have a central theme like “community service,” or “nursing and healthcare,” or “business management,” depending upon the education, interests and life goals of the student writing. Great scholarship essays usually identify a common theme that demonstrates how that educational theme is applicable to everyday life by showing real-world experiences and examples. The idea here is that, in writing your scholarship essay, you want to be sure to not only tell your college’s scholarship committee what your goals are, but also to demonstrate how you’ll apply your education to the real world, and what experience you have so far to help you do this. Community Service John Doe learned about the income and education gaps challenging minority populations in his community by volunteering every week to tutor elementary students at his town’s multicultural center. Students shared stories with him about their home and school experiences, and John used this information to help elementary school teachers relate to students. Nursing Education Jane Smith worked as a CNA for two years before she started earning her advanced nursing degree. The bedside care experience she gained helped her understand challenges that new nurses might run into when caring for patients, such as how to manage time effectively with a full floor while giving quality care. Jane plans to use these insights to help create nurse education programs that improve both patient and nurse experiences. Business Management John grew up helping his family manage their own furniture store. While his parents were talking with customers, he stocked inventory and cleaned furniture. As John got older, he began to talk with customers as well and complete sales transactions. This first-hand experience allowed John to understand all components of small business operations. John plans to combine his experiential knowledge with what he learns in school to help bridge understanding gaps between managers and front-line employees. Anecdotes are short, amusing stories about events or people. Similar to how we talked about using examples above, anecdotes are effective at demonstrating how the ideas you present in a scholarship essay apply to real life. Anecdotes help your ideas come to life. For example, if you’re writing a scholarship essay about business leadership, you may choose to tell a story about how your work cleaning houses taught you about attention to detail in all areas of life. The example essay we’ll review below uses an anecdote about helping the family business better manage checkbook balancing. Writing with passion is important because it shows the scholarship committee you’re applying to that you care, and that you’ll make your best effort to use the financial aid you’re given in a productive, meaningful way. Passion also helps your reader(s) stay engaged by writing in a way that others can empathetically relate to. Said simply, writing with passion makes your essay interesting. 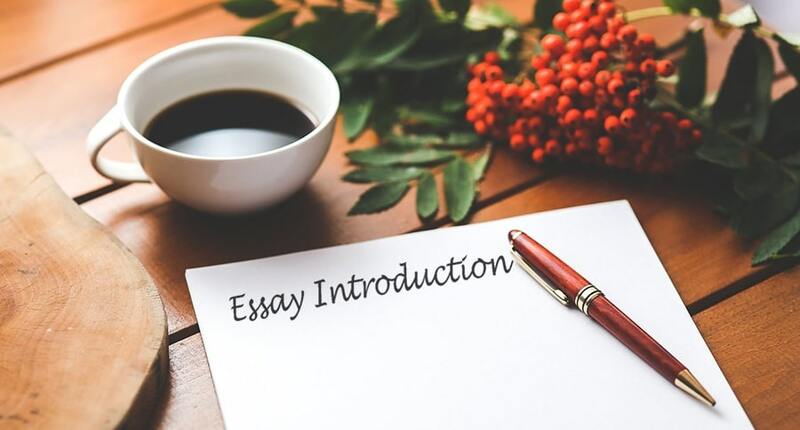 The example essay later in this guide demonstrates passion in the concluding paragraph by explaining why the essay writer wants to study business management—in order to improve the lives of employees and community members through providing wholesome food. In this way, the essay becomes personal, and reveals the writer’s individual values and motives. Great scholarship essays are formatted according to the requirements of the school the essay writer is applying to. Following correct formatting requirements demonstrates that you are organized and able to follow instructions. Different schools may have different requirements when it comes to formatting, so be sure to clarify your instructions. A general rule of thumb, especially if you’re given few instructions, is to double space your essay and use one-inch margins. If you quote or paraphrase any information from another source, be sure to cite it correctly and in the style the college you’re applying to requires. Common citation styles are APA and MLA. Generally, you probably won’t have many citations in a scholarship essay since it is primarily focused on how you will apply your personal experiences and education to further your career goals. Last, great scholarship essays have appropriately spaced paragraphs and phrases. They avoid run-on sentences and break up information into digestible bits. Generally, a single paragraph shouldn’t be more than two-thirds of a page if it’s double-spaced, or a third of a page if it’s single-spaced. Separating and organizing different thoughts into different paragraphs makes your writing easier and more enjoyable to read. Fantastic scholarship essays don’t neglect the chance to leave a lasting impression with readers. A common mistake inexperienced writers make is putting lots of attention into the introduction but little attention into the conclusion. Clearly, it makes sense that the conclusion would be an easy area to neglect from a writer’s standpoint, since the writing process is almost complete and a simple re-cap of your main points should suffice, right? The conclusion is just as important as the introduction. The introduction flags readers’ attention and makes sure your essay is read in the first place, whereas the conclusion makes sure the reader remembers and acts on what he or she has just read. And in the case of a scholarship essay, acting on what was just read means choosing the essay writer as a financial aid candidate. The diagram below illustrates the components that make up a scholarship essay that is easy to read, interesting, relevant, and organized. The table below illustrates the components that make up a scholarship essay that is easy to read, interesting, relevant, and organized. Now that we’ve reviewed the basic elements of a great scholarship essay, let’s dive into the steps you’ll need to take to write an essay that will win you the college education you’re aiming for. The first step in being able to choose a theme that is relevant to your goals and experiences and sounds appealing to your scholarship committee, is to know what your audience looking for. For instance, if you’re applying to a fine arts scholarship, you’ll want to highlight your specific experiences and goals related to your creativity and artistic skill. Think about what’s important to the school you’re applying to. This is a balancing act. You don’t want to write an essay that sounds too salesy, or appears to obviously “schmooze” your scholarship committee, but you do want your essay to be relevant to what your committee cares about. The best way to do this is to understand the scholarship you’re applying for, and why it’s offered. Likewise, if you’re applying to a scholarship offered based upon GPA, you’ll probably want to talk about your experience with grade achievement, critical thinking capacity and how you plan to apply those skills to your college and professional goals. Finally, if you’re applying to a nurse educator scholarship, you’ll most likely want to highlight what life experiences contribute to your ability to be a fantastic future nursing leader. In other words, who do the donors want to support? Who would be their ideal candidate? Next, list some reasons why you match what they’re looking for and some corresponding real-life examples. You can use this list later when you create your writing outline. This second step is similar to the first, since in understanding your audience you’ll likely find your theme. However, during this second step, you’ll start to elaborate. Instead of just understanding what your audience, or the scholarship committee, is looking for, you’ll identify a theme that unifies your goals and experiences with what’s important to your audience. Remember the list you created in step #1? Here’s where it starts to come in handy. What’s the common theme that emerges as you look at the reasons you match what your audience is looking for? Likely, they’ll match the type of scholarship you’re applying to. Your theme won’t necessarily be the title of your essay (though it could be). Rather, it will guide your title, and it will also guide the rest of your writing. Your theme is like a compass. Everything you write should point back to your theme, explaining why and how you’re an ideal candidate for the scholarship. This step should be relatively simple. Use the list you made in step one to help you. Your outline should start with an introduction and end with a conclusion (see the earlier section of this blog for how to write an effective intro and conclusion). In the middle should be the main body and point(s) of your essay (you should do this whether you decide to buy an essay or not). The outline of a scholarship essay has a summary at the beginning, followed by main points supported by evidence, and a strong conclusion. The body and main points will be filled with examples of your experiences that relate to your educational and professional goals. Start by listing the goals and the examples you want to write about, and then arrange them in an order that logically flows and makes sense. As you write, use transitional phrases and storytelling so that your writing doesn’t feel like a “list,” but instead, flows seamlessly. The word creative is used a lot today, but what does it actually mean? In the case of a scholarship essay, being creative means being original. You’ve got to stand out from a crowd of other applicants. That means avoiding generic stories and phrases. It also means avoiding generalizations and clichés. When you tell a story or share your experience, get specific. If you get specific, it’s hard not to be original, because chances are, no one else has had experiences quite like yours. Imagine trying to learn to play basketball just by being told about the game through a lecture, and then being thrown into your first game. It’d be pretty frightening, to say the least! You’d probably stumble all over the court and drop the ball. However, if a coach took you out onto the court and showed you how to dribble and shoot, you’d learn more quickly, because you’d be able to observe the game actually happening. You’d be shown. If you’re an adult applying for a scholarship to help financially because you want to go back to school, you can be extremely descriptive in your reasoning for needing that scholarship. The same concept applies in writing. If you tell your reader about something, you’re likely to have less of an impact. But, if you show him or her, they’ll understand and be able to visualize what you’re saying. Stories are effective ways of showing, instead of telling, your reader what you’re trying to say. In a scholarship essay, this couldn’t be more important. For instance, consider the “telling” versus “showing” example we reviewed above. If you’re trying to tell your reader about your business management skills, show him or her how you solved a specific challenge for a business. #7 Proofread and know when to ask for help! Another round of editing can mean the difference between a polished essay that wows critical eyes of your scholarship committee, or one that gets set aside just because of a few fixable errors. Submitting a proofread paper shows that you’ve taken the time to correct your work and put your best impression forward. Proofread your work at least twice, and have a friend read it as well to catch any last errors. Finally, if you feel stuck, know where to find help. The Ultius writer help section is a great place to find comprehensive guides on essay writing. Check out the table below for additional hints and advice on crafting an outstanding scholarship essay. If you still have questions, visit the Ultius writer help section! Best of luck, and remember, have fun with the writing process! Take time to strategize and plan a well-thought outline. It’ll make the writing process much easier and your ideas will likely flow better for your reader. Don’t try to be too fancy. Remember, you want your essay to be relatable and down-to-earth, while still keeping a tone of professionalism. You want to do a little boasting about yourself in your scholarship essay. But, ironically, you don’t want it to sound like boasting. In other words, you want to highlight your strengths and all you have to offer, but in a way that’s humble and appreciative. It’s easy to fall into the unconscious trap of sounding “like everyone else.” While other scholarship papers can serve as helpful examples in terms of organization, tone and style, you’ll have the best luck by using those examples as a foundation and then writing your own essay that stands out enough to catch your committee’s attention. In a pool of hundreds or thousands of “similar” essays, how can you give yours a different twist? Remember, the introduction is arguably the most important part of your essay, aside from your conclusion. Proof read it again, even when you think it’s finished. As you proofread, pretend you’re someone on your scholarship review committee. How would it sound to them? How can you make it better? Don’t let the pressure of time keep you from asking for a quick proof read from a friend, or from getting professional help from professionals at Ultius. It may not seem critical at the time, but it could make a big difference in your future college education!